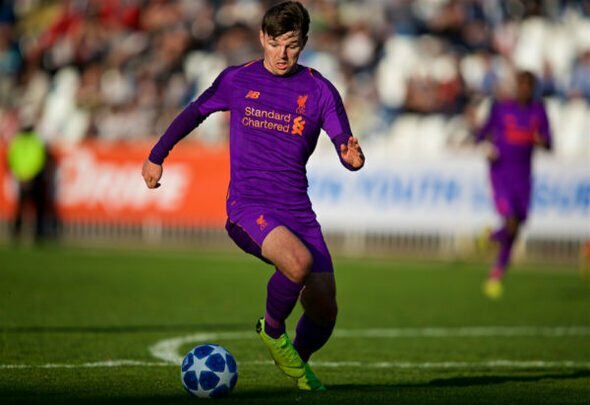 Bobby Duncan is not only a very talented young footballer, but he is also quite witty, as proven by his dig at Chelsea after Liverpool beat Maurizio Sarri’s men at Anfield on Sunday. Sadio Mane and Mohamed Salah sent Liverpool to the top of the Premier League table in a 2-0 win against Chelsea, who had earlier posted on their official Twitter account a clip of Steven Gerrard’s infamous slip against them that cost a previous bid for the title. Duncan, 17, is a cousin of the Anfield legend, and after the game was won on Sunday, he was straight onto Twitter to fire back at Chelsea saying: “Safe trip back to London.” Understandably, many Liverpool fans were blown away by the teenagers quick wit and willingness to stand up for his club. It may be some time before Gerrard’s young cousin is playing regularly in the first team at Anfield, but once he does, at least we will all know that this is someone whose heart beats for Liverpool Football Club. ???????????????? what a classy response lad! Genius ???????????????? Woah, still to make debut and already a legend-in-making. Ahahahaha get in thereeeeee ??????????? ?